I love decorating with pumpkins in the Fall; I use them everywhere! 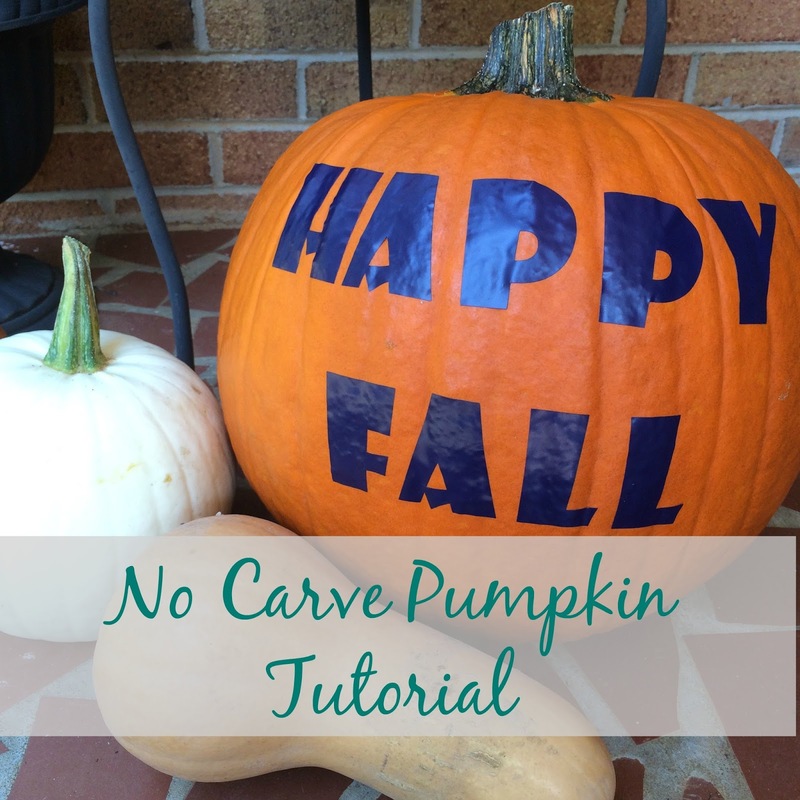 If carving pumpkins is too messy for you, I have an option for a no carve pumpkin. This can be customized for a fall theme or Halloween. You can also use this on a real pumpkin, or a fake one, if you want it to last even longer! This pumpkin can be used for a table centerpiece, outdoor decor, or as part of a decorating party! The best thing is that this project only took about 15 minutes to make with my Cricut Explore Air! 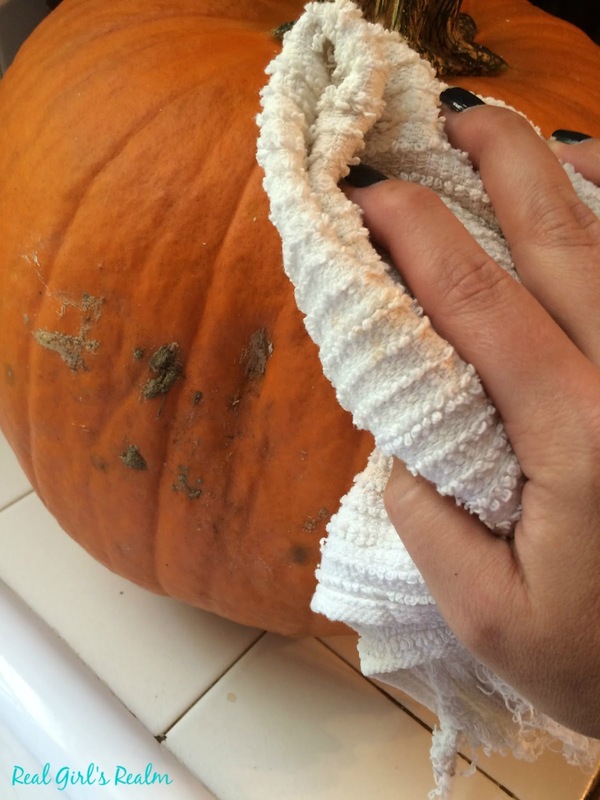 Make sure you start with a clean, dry pumpkin. 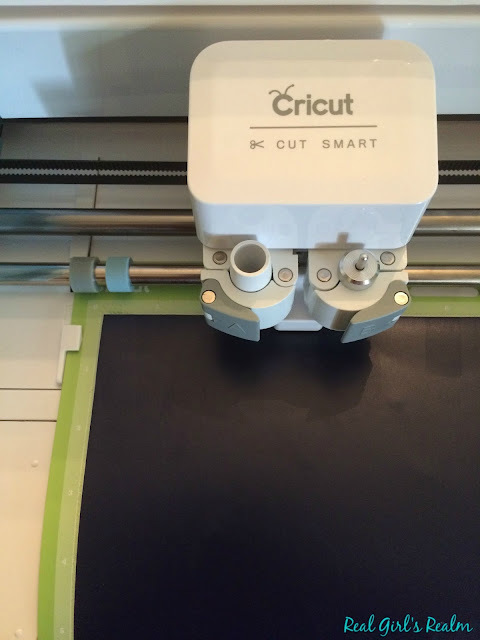 I measured the approximate size of the area where I wanted the letters to go so I could size them in the Cricut design space. Open the Design Space software and start a new project. Select the font you want to use. 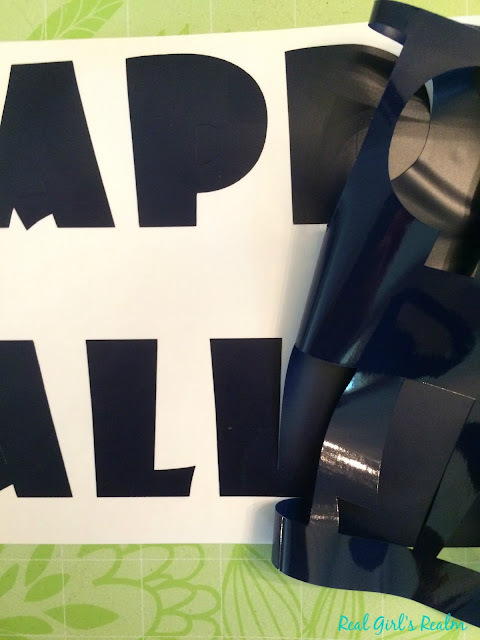 I kept it simple and used Showcard Gothic font in 2" tall letters on Black vinyl. But, there are a ton of fonts to choose from, especially if you have Cricut Access. Set the dial on your machine to "Vinyl," press the green "C." and watch your Cricut go to work! Carefully weed the letters off the mat and apply them to the pumpkin. 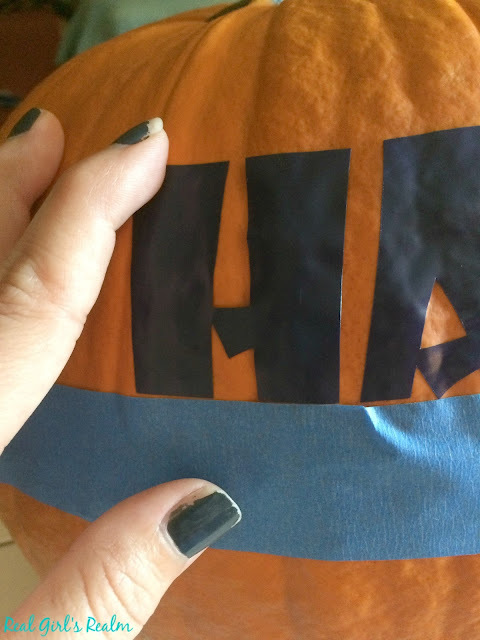 I placed a strip of painters tape on the pumpkin to help keep my letters straight. This was so easy, I will be making a saying for Halloween too! I was thinking either "Trick or Treat" or "Boo!" 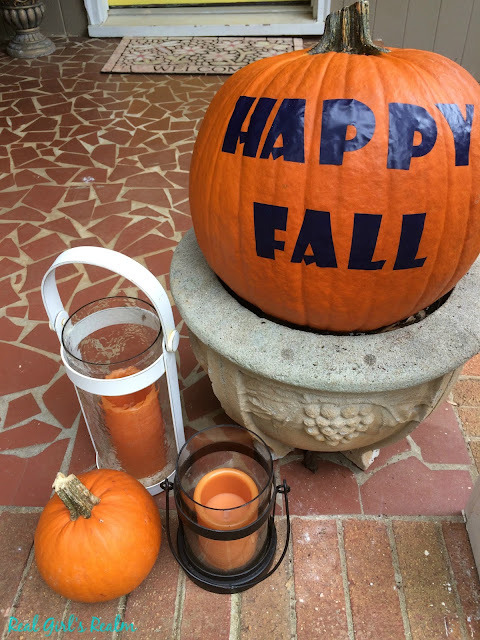 See how it looks with the rest of the Fall decor on my front porch! 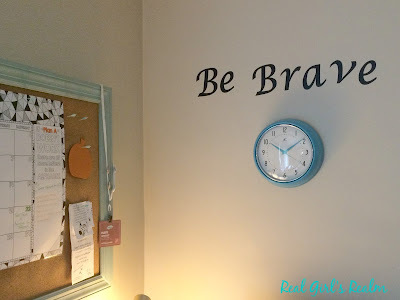 Check out some of my other Cricut Vinyl posts like this one! This is a really cute "take" on the traditional carved pumpkin for Halloween. But, this one can go right through November, too. Nice tutorial, too. Thank you Mimi! I like having a fun pumpkin, but do not like the mess! Yes, I like that this can be used past Halloween! Yes, and I can also customize it for Halloween!